Bob Shaw, a Democratic committee member from Androscoggin County, sported 35 years' worth of political buttons on his vest and hat. 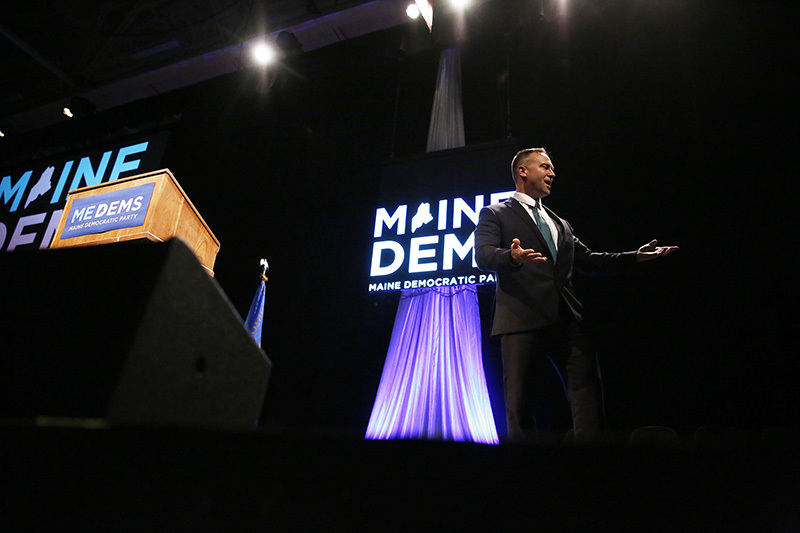 Six of seven Maine Democratic gubernatorial candidates share the stage Saturday at the biannual Democratic state convention in Lewiston on Saturday. 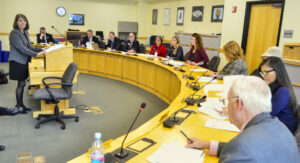 From left: Janet Mills, Adam Cote, Betsy Sweet, Mark Eves, Diane Russell and Mark Dion. 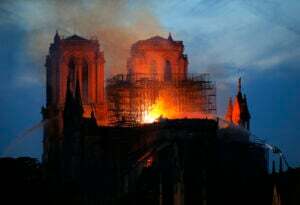 Donna Dion was not in attendance. 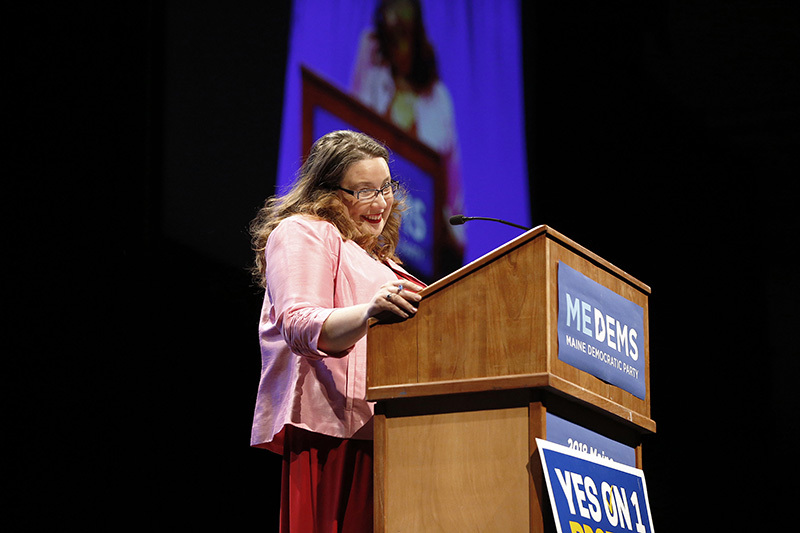 Betsy Sweet, candidate for governor speaks at the Democratic state convention in Lewiston. 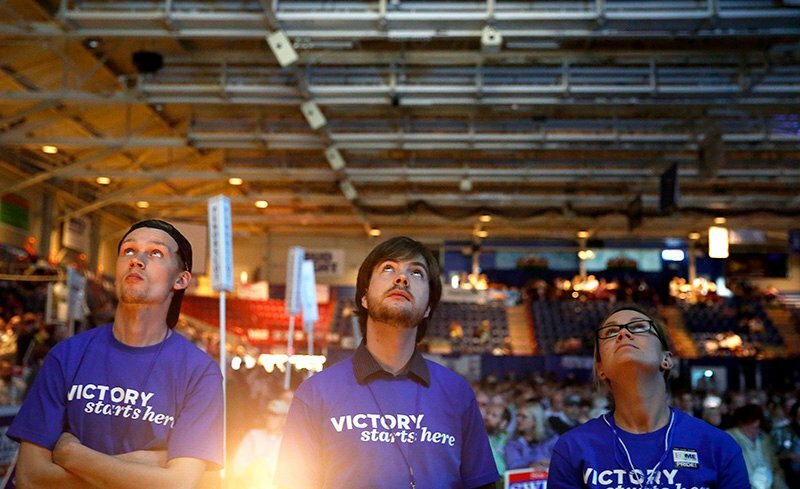 Event staffers at Democratic state convention Colin Cundy, left, Dash Marley and Lisa Roberts watch a video presentation by gubernatorial candidate Donna Dion. Dion wasn't present at the convention. 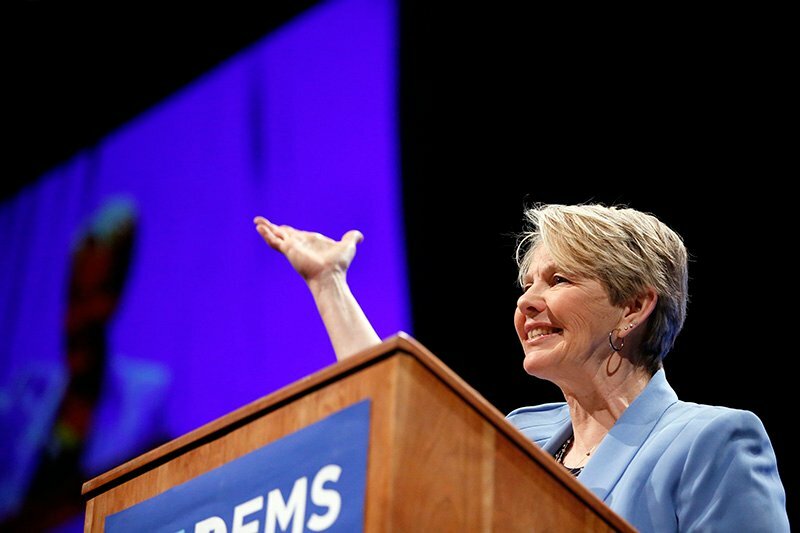 Gubernatorial candidate Diane Russell speaks at the Democratic state convention on Saturday. 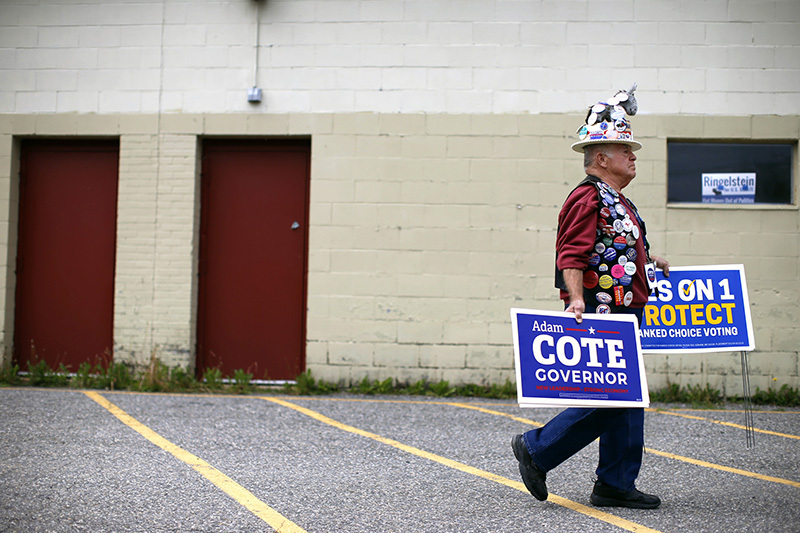 Bob Shaw, a Democratic committee member from Androscoggin County, carries political lawn signs to his van outside the Colisee. 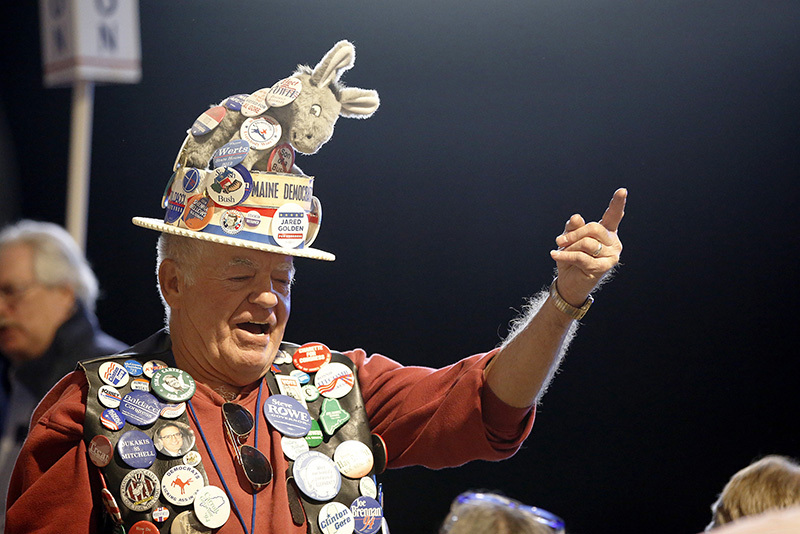 On his vest and hat, Shaw sports 35 years' worth of political buttons.  Shaw, 74, said he has been politically active since he was 12. 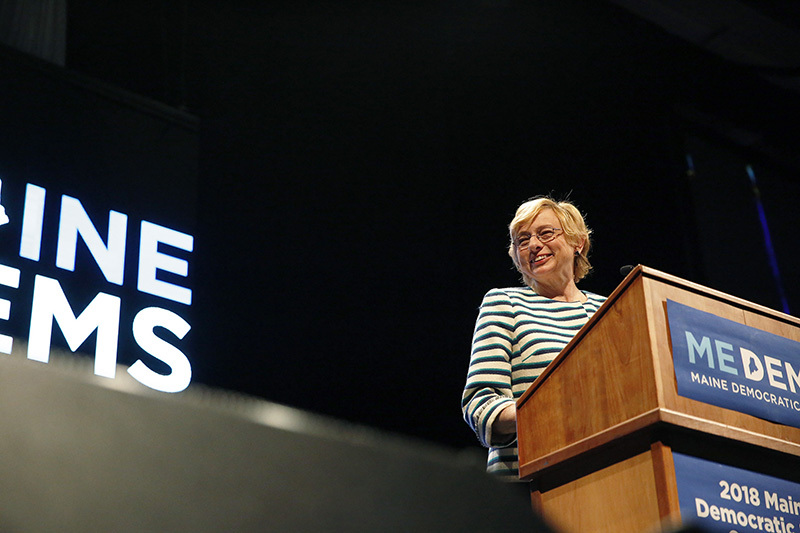 Maine Democratic gubernatorial candidate Janet Mills speaks at the biannual Democratic state convention in Lewiston on Saturday. 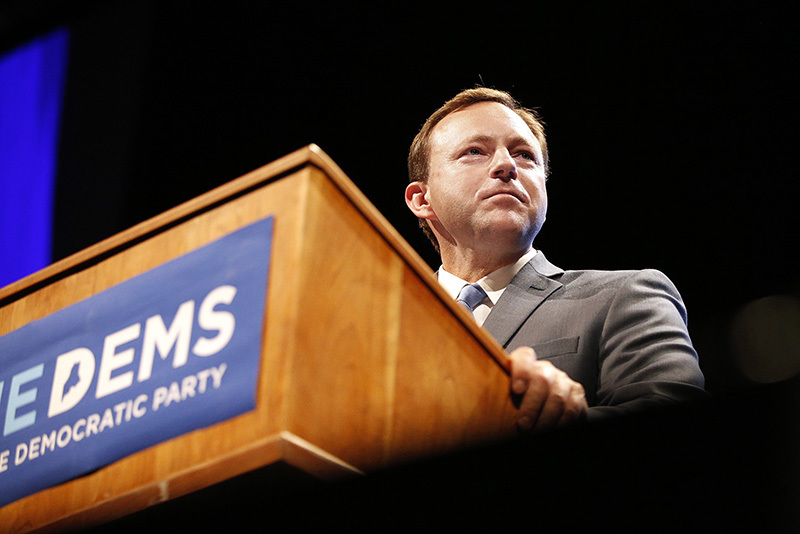 Mark Eves, a candidate for governor, speaks to the convention. 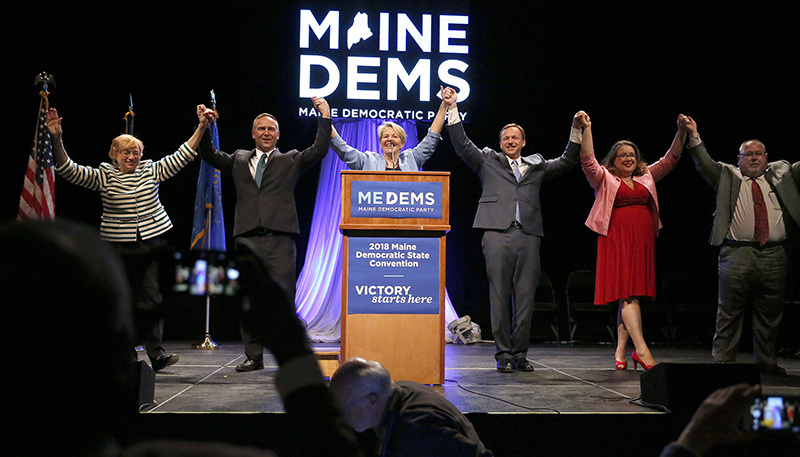 Sam Zaddis, a member of the Washington County Democratic Party, stands to applaud the arrival of Democratic state senators to the stage on Saturday . 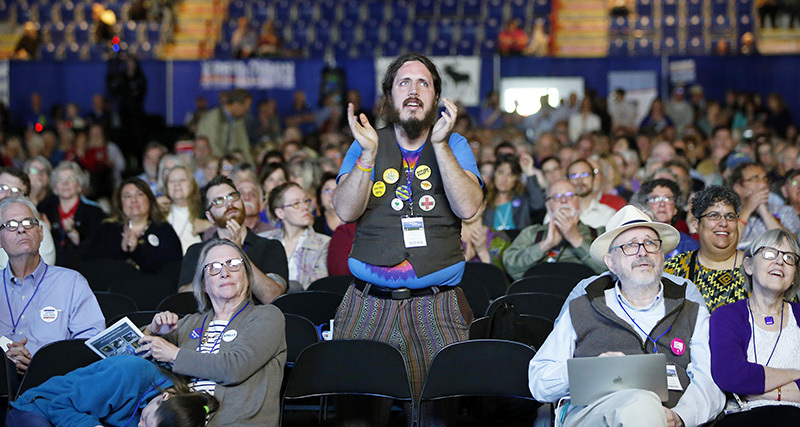 Adam Cote leaves the stage on Saturday after addressing the convention. 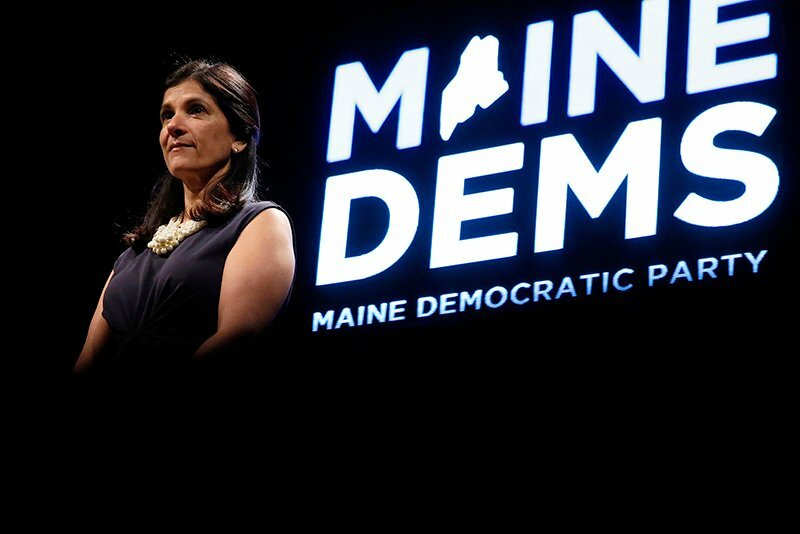 House Speaker Sara Gideon, D-Freeport, stands onstage during the biannual Democratic state convention. 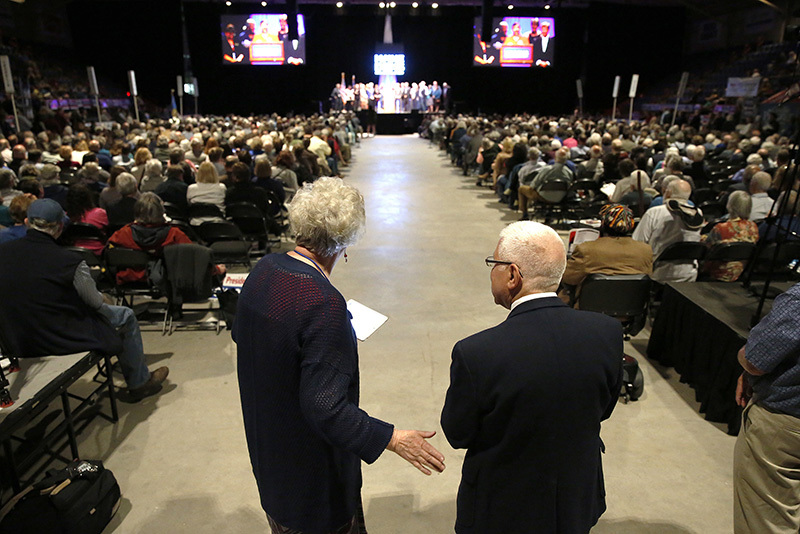 Former state representative Bobbi Beavers chats with Frank DeSarro at the end of the center aisle during the biannual Democratic state convention.